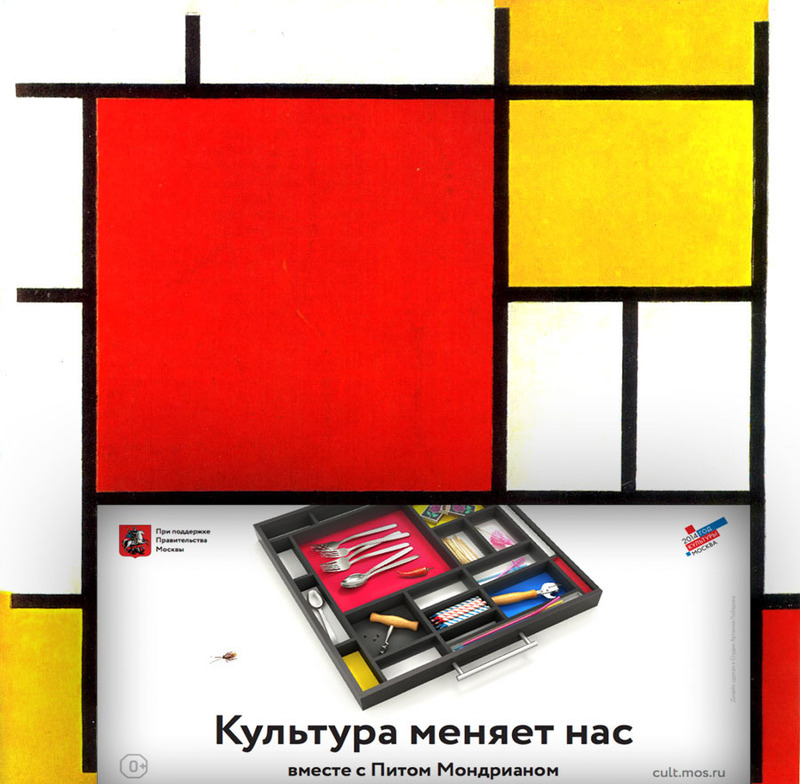 Culture changes us with Piet Mondrian // Piet Mondrian is one of the founding fathers of abstract art (the other two being Kazimir Malevich and Wassily Kandinsky). He found harmony in strict geometric compositions and the use of three simple colors (blue, yellow, and red) and “anti-colors” (black and white). Mondrian's ideas spread to the sphere of design — from houses decorated with a Mondrian-style mesh to tables and chairs executed in the same style. 2014 was declared the Year of Culture. Posters made at the famous Art. Lebedev Studio, based on paintings by famous artists, urge the Russian public to visit museums more often.